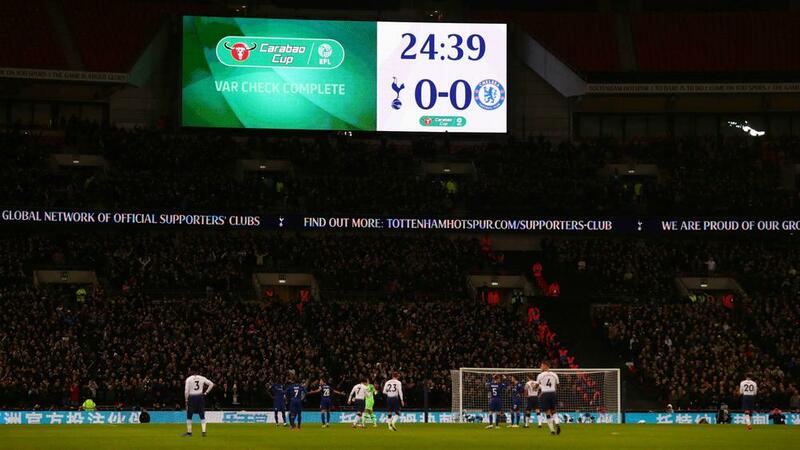 Police have confirmed a man has been arrested for a racially aggravated public order offence at Tuesday's EFL Cup semi-final between Tottenham and Chelsea. In a post on Twitter, the football unit of the Metropolitan Police, whose officers were on duty for the first leg at Wembley, wrote: "Police have arrested a 17-year-old male for a racially aggravated public order offence at tonight's @SpursOfficial v @ChelseaFC. "The male is currently being dealt with at a North London police station." An earlier post from the force had read: "We are working with London football clubs to ensure hate crime, including racism and anti-Semitic language, is tackled robustly. "Any instances of such behaviour will be taken seriously and thoroughly investigated."